Running around the bases at a local baseball game! On a recent trip, our Marathon Maniac had every intention of running while away from home. Instead, she found a million reasons to not run. I’ve always believed that the best way to explore a new place is on foot. 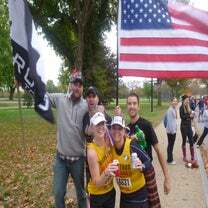 Although I have run races in 40 states and 5 countries (and counting! ), I always bring my running gear with me even if I’m not going to be racing. After all, you never know when you’ll end up somewhere with the perfect trail or a beautiful ocean side path. 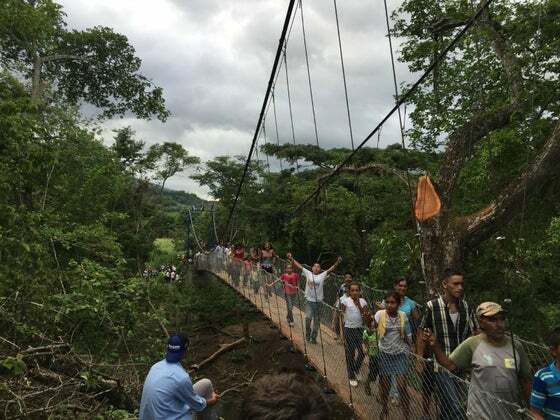 When I traveled to Nicaragua on a humanitarian project as part of a team from my company to work with Bridges to Prosperity, I brought my running gear. While I knew that we would be staying in a very rural area, I had no idea what the terrain would be like or if it would even be safe to run. Still, I was optimistic—there were several other runners in my group and I figured we could find a way to sneak in a few miles at the end of the day. I had no idea what I was in for! Spoiler alert: I was in for a lot of really cute kids! 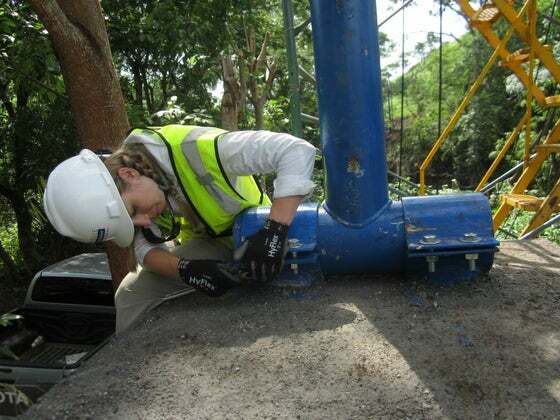 See, I work for an engineering company, and we had traveled to Nicaragua to build a footbridge in cooperation with Bridges to Prosperity (B2P). 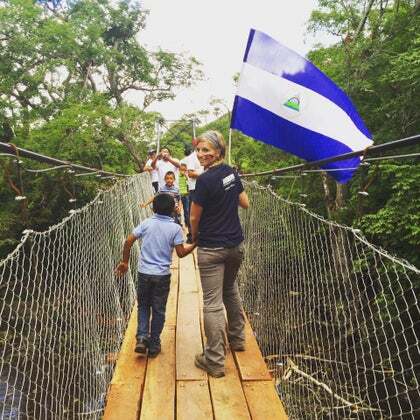 Bridges constructed by B2P provide access to healthcare, education and markets and teach communities how to build footbridges over impassable rivers. That’s right—we would be working on a construction project for two weeks in the middle of rural Nicaragua, and I thought I’d be running! Ha! While the daily construction schedule was pretty grueling (we’re talking a 5 a.m. wakeup and typically working until about 4-5 p.m.), that’s not the reason I never laced up my shoes. 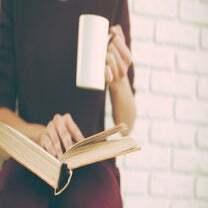 It wasn’t the dauntingly hilly terrain, either, although the thought of what a struggle it would be to make it up each hill at the end of a long day of manual labor did cross my mind. It wasn’t even the fact that there was only one road into the small village where we were working and one road out—the ultimate out and back! Instead, it turns out that I really didn’t even think about running at all, except in passing. Given how much of my headspace (and energy!) running has consumed over the past 7 years of my life, it seems almost impossible. Hard at work on the bridge. When we arrived back at our camp each day, I was immediately greeted by screams of “DANIELA! DANIELA!” and dozens of little kids running towards me at top speed, speaking a thousand words per minute in Spanish. I speak decent conversational Spanish (thank goodness!) and they figured that out pretty quickly. 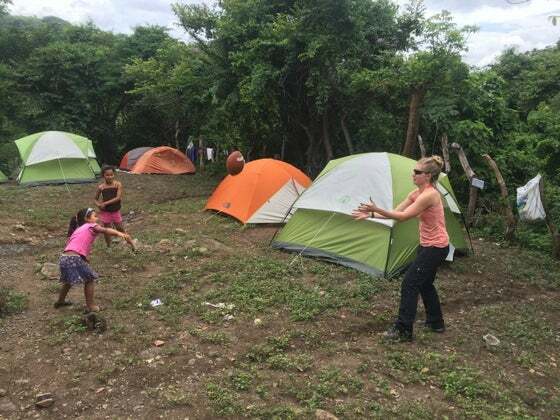 They also figured out that we had brought a wide variety of sporting equipment with us, like soccer balls, baseball gear, an American football, and a Frisbee. You think I was getting away with a run when there’s 10 kids jumping around in a circle positively begging me to play with them? Not a chance. Teaching the girls how to throw an American football! If I wasn’t playing with the kids, chances are we were being entertained by the local villagers, who welcomed us into their community with open arms. While most members of our team didn’t speak Spanish, we had two fluent Spanish speakers and me (decidedly not fluent, but good enough in many situations) to help us connect. Those conversations led to wonderful experiences back at the village—being given tours of local homes, impromptu concerts, and a lot of dancing—that we could never replicate somewhere else. 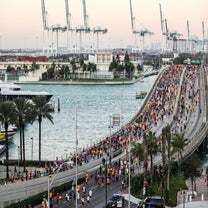 Running is wonderful, but it is also easy enough to experience pretty much anywhere you go, if you choose to. 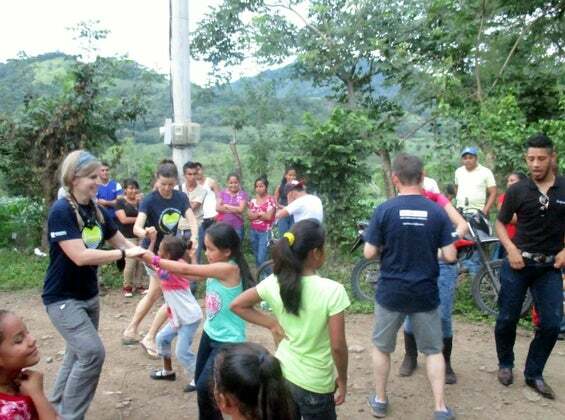 A dance party in rural Nicaragua? Not so much. And then there were the hours spent getting to know the members of my team and swapping life stories with them. Although we all work for the same company, we are spread out all over the United States, and none of us knew each other before the trip. We come from all different states and walks of life, and we all have different jobs and interests. 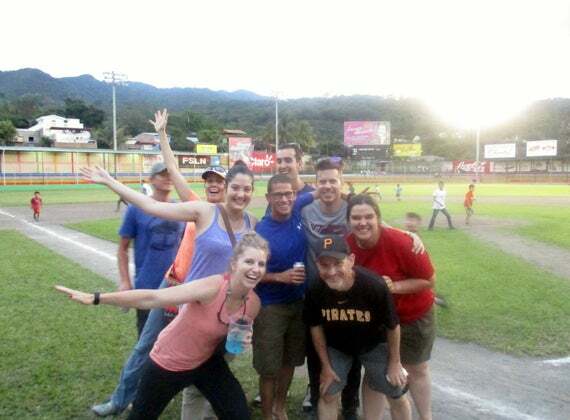 There’s something about the combination of a few (or more) local rum and Coke’s and the fact that we were in the middle of a once-in-a-lifetime experience that made the team come alive and bond in a way that I wouldn’t have thought possible before we left. I found that the other runners on our team agreed with me: we had our shoes and gear, but each hour and minute of the trip was too precious to spend it out alone on the roads. 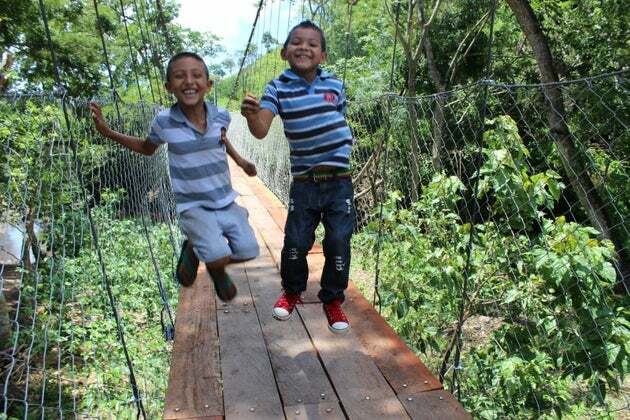 We had kids to play with, locals to dance with, and of course, a bridge to build. Running just fell to the wayside for all of us, and we didn’t regret it for a second. I’ve spent plenty of years out on the roads and running is one of the biggest parts of my life. That said, it’s not the only part of my life, and there are some moments, memories, and people that we can just never get back. This time, it was worth putting my training plan aside and focusing on my team, the villagers, and watching our bridge come together. Will I run on my next trip? Almost definitely. But this time, I needed a reason to not run–and I got hundreds of them.